WASHINGTON—As Rep. IIhan Omar found out, speaking truth to power about the savagery, violence and humiliations occurring every day to Palestinians in the West Bank and Gaza and offering unapologetic critiques of U.S.-Israel policy has a price. Since she was sworn into Congress in January, the freshman legislator from Minnesota has spoken and tweeted about the crisis in Israel and the Occupied Territories. Few in her position have been so openly critical about Israel’s decades-long clashes with Hamas, the deaths of primarily unarmed Palestinians at the hands of Israeli defense forces and a variety of actions that international organizations, like the United Nations, have deemed violations of international law and breaches of human rights conventions. And, in America, to be critical of Israeli atrocities or U.S. policy towards Israel can jeopardize jobs, livelihoods and dry up donations to organizations or projects. At a town hall at Busboys and Poets in downtown D.C., Rep. Omar, one of the two first Muslim women ever elected to Congress, brought up the issue again. She was referring to the American Israel Public Affairs Committee (AIPAC), which has had an outsized role in American politics. Rep. Omar has been consistent in her criticism of the power and influence of AIPAC and the Israel lobby—which according to the Wall Street Journal raises more than $100 million a year to influence Congress and send members to Israel. She has also been deeply critical of America’s Israel policy. For that, she has been vilified. 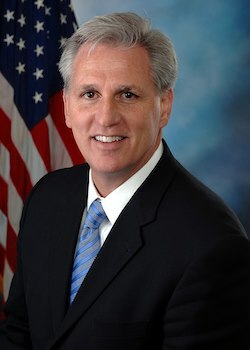 President Donald Trump, House Minority Leader Kevin McCarthy and other GOP members called for Rep. Omar to be removed from the Foreign Affairs Committee and those accusing her of anti-Semitism screamed for a resolution condemning her comments. Some Democrats backed those calls. But the attempt to punish Rep. Omar led to an uproar in a closed-door meeting of Democrats in Congress, with members of the Congressional Black Caucus and a number of the progressive newcomers railing against a resolution that originally only sought to address anti-Semitism. House leaders delayed the vote, added language to include a condemnation of Islamaphobia and anti-Muslim bias and didn’t single out Rep. Omar by name. The House resolution passed 407-23 with 23 Republicans opposing the measure. 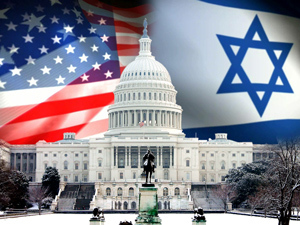 Among notable pro-Israel lobbyists are Christians United for Israel, the Anti-Defamation League, the Washington Institute of Near East Policy, the American Jewish Congress, the Zionist Organization of America and AIPAC. AIPAC brass has boasted publicly about the group’s control over members of Congress on both sides of the aisle. In the early 1970s, Sen. William Fulbright called Congress “Israeli-Occupied Territory.” That influence hasn’t dimmed, but observers say this is the first time that significant numbers of young Jewish Americans, progressives, members from the Left and everyday Americans have begun to question what’s going on in their name and are pushing to hold Israel to account. 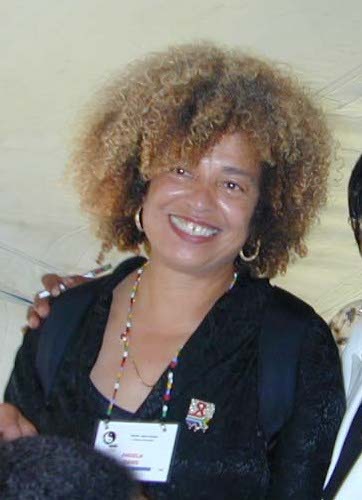 Black Power movement icon, academic and activist Angela Davis, Temple University Prof. Marc Lamont Hill and lawyer, attorney and author Michelle Alexander were among the latest critics excoriated for criticizing Israeli actions and U.S. policy toward the Jewish state. The phrase that sealed his fate came at the conclusion of his remarks. Stories circulated after his firing and according to an anonymous person at CNN, Prof. Hill’s position on Israel, and his growing criticism of it, had been “a festering problem” at CNN, according to The Daily Beast. The source said CNN suits were watching Prof. Hill closely after he posted a 2016 photo of a meeting between him and Nation of Islam Minister Louis Farrakhan, who has been viciously attacked for criticism of Israel and Jewish misbehavior. Concerted efforts by unnamed Jewish groups to get Prof. Hill ousted from Temple have failed. Prof. Hill said he goes to Israel regularly and has spent the last five years traveling there. His most recent visit was in January. Prof. Davis, a Birmingham native, told Amy Goodman on “Democracy Now” that she learned a writer from the magazine Southern Jewish Life wrote a story detailing some of her activism around Palestinian human rights, her support of BDS, and her opposition to some of Israel’s policies and practices. BDS is a peaceful, global human rights movement created by Palestinians that seeks to use nonviolent economic pressure to force the Israeli government to end its illegal occupation of the Palestinian territories, grant equal rights to Palestinian citizens, and allow Palestinians violently expelled from their ancestral lands to return—as required by international law. More than 100 groups, along with the ACLU, called on legislators to reject this legislation. A number of people cited First Amendment concerns. Elsewhere, local lawmakers have implemented anti-BDS bills in 24 states. Activist Gold believes Rep. Omar has critically opened the door to more public debate and shaken up the status quo in a way that likely cannot be reversed. Ms. Gold is national co-director of Code Pink, a women-led grassroots organization working to end U.S. wars and militarism and support peace and human rights initiatives. “We’ve seen a dramatic shift in Congress and American Jewish opinion, especially young Jews. They are more outspoken against the occupation and Reps. (Rashida) Tlaib and Omar are now in Congress,” she said. This changing sentiment has scared pro-Israel supporters, Ms. Gold said, hence their resentment of, and fury towards, Rep. Omar. Democrat Eliot Engel is chairman of the House Foreign Affairs Committee and Rep. Ted Deutch is a Jewish Democrat from South Florida. As she weathers the storm of criticism and condemnation, public support for Rep. Omar has steadily risen. Columnists, writers and Jewish Americans have penned pieces offering support, a number of prominent Jewish Americans wrote an open letter in her support and members of the anti-Zionist Jewish group Neturei Karta International visited Rep. Omar’s Washington office to show their support as well. To confuse Judaism with Zionism and to accuse someone of being anti-Semitic because they oppose the occupation of Palestine or the oppression of the people “is revolting, unacceptable,” he added. The rabbi issued a statement expressing support for Rep. Omar and her principled position on Israel. Revs. Graylan Hagler and Patti Sears of Washington, D.C., have visited Israel and the occupied territories a number of times in the past and they said the atrocities, brutality and the utter lack of concern for Palestinians’ humanity is seared into their memories. Both are longtime advocates of Palestinian sovereignty and a peaceful solution to the Israeli-Palestinian conundrum. But Rev. Hagler said, it’s time to stop conflating legitimate criticism of Israel’s actions and U.S. policy toward the state of Israel. It is not the same as attacking Jewish people and is certainly not anti-Semitic, he said. “What Israel is doing has nothing to do with and is not related to Jews in the Bible. What we saw was a European-American enterprise of colonialism. They have absolute control. We couldn’t get into Gaza but we were able to get into the West Bank. Gaza is an open-air prison camp,” Rev. Hagler said.